Through their synthesis of folk, rock and pop, Artisan Guns have produced a unique, creative and enjoyable sound that will have your toes tapping. Their influences include the pop music infused in their blood, the garage rock popular during their formative years, and the folksy/country/bluegrass on which lead singer Matthew was raised. The four school friends formed the band back in 2006. They attribute their recognition to the countless gigs they played and the fun they had doing them. Eventually, they say, the right people saw and heard them. 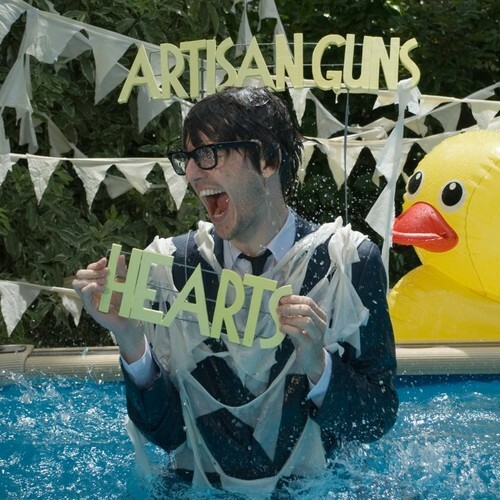 Artisan Guns have gone on to release two extremely well-received EPs: the entirely independent Bird and Bone in 2009; and Hearts, which was recorded in one week at Dave Dobbyn’s studio in Auckland and released in 2010. Artisan Guns’ skilful crafting of diverse genres, and the confidence they’ve gained from years in the Auckland music scene, has given them a distinctive style. They seem as comfortable with an auto-tune and drum machines as they are with melancholy folk. The band has stayed true to their folk roots, but aren’t reluctant to add drum machines, swelling layers of keyboard, and plenty of loud, loose grooves to their music.